May 6, 2016 by Ken Ward Jr. 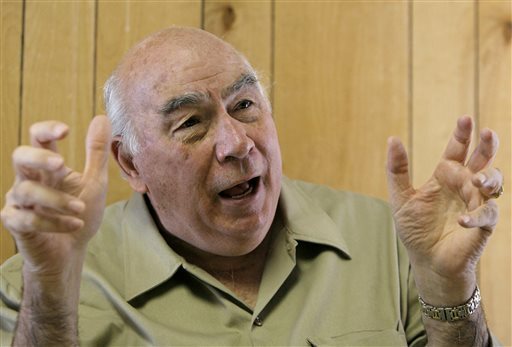 The day after his coal-mine visit, Mr. Murray delivered a lecture at West Liberty University, a small public college in nearby West Virginia. There, about 150 students packed a hall to earn extra credit for their business class. Mr. Murray came with a five-page speech titled “The Ongoing Destruction of a Major American Industry,” which, among other things, described the “regal, outlaw Obama administration.” But once he reached the lectern, the speech was forgotten. Instead, Mr. Murray spoke extemporaneously. He warned the students about government bureaucrats (“They are rejects compared with people in the private sector”); about Bernie Sanders (“The problem with socialists is that they eventually run out of other people’s money,” paraphrasing Margaret Thatcher); about the leading Republican presidential candidate (“I’m not sure about Donald Trump”); and about Ivy League schools (“These schools are lousy”). He announced that he was organizing a fund-raiser for Ted Cruz, though he pointed out that he was not endorsing him. Mr. Robert E. Murray has not, as yet, formally endorsed any Presidential candidate. It appears likely, however, that Mr. Donald J. Trump will become the Republican nominee for President. If nominated, we hope that Mr. Trump defeats Hillary Clinton, who has stated that, if elected President, she is “gonna put a lot of coal miners and coal companies outta business.” Mr. Murray is seeking for Mr. Trump to make the same very large and significant commitments to support the United States coal industry, which Senator Cruz has made.